For a long time, it was believed that only men held high social ranking in the Moche society. 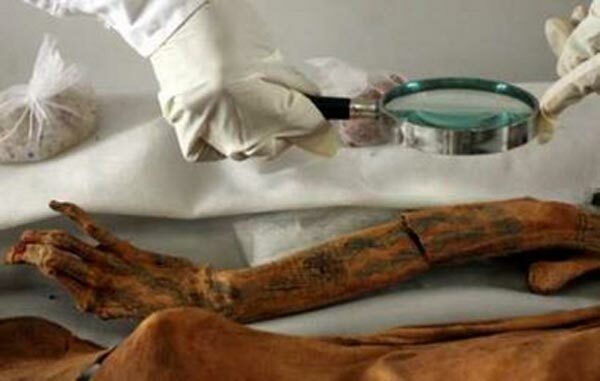 However, a mummy that was found in 2006 changed that perception. The mummy belonged to a woman and it was draped in riches and jewelry. The Lady of Cao, as the mummy is now known, was discovered by Peruvian archaeologists led by Regulo Franco Jordan. 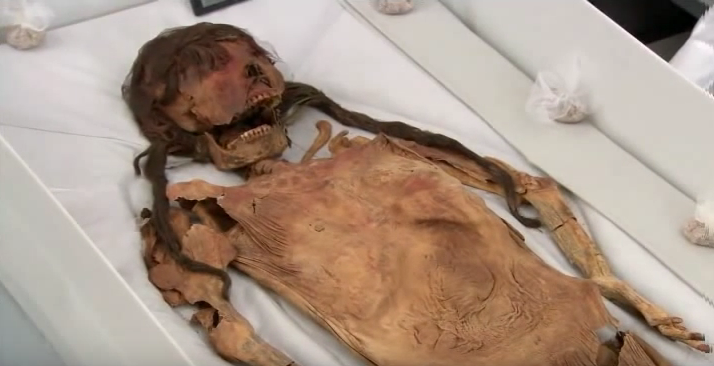 The mummy was found at the El Brujo archaeological site, which is located just outside the city of Trujillo. The discovery was funded by the Augusto N. Wiese Foundation and was one of the major discoveries of the 2000s. The mummy was not only draped in rich clothes and ornaments, but her tomb also contained a large number of weapons. The tomb of the mummy also contained the mummy of anther woman, who was presumably a servant or a friend of the higher ranking woman. These findings led the archaeological team to conclude that the Lady of Cao was either a high ranking priestess or a warrior. This conclusion shook the academic community, which long believed that only men held high social positions in the Moche society. It is believed that she was most likely a Moche Queen, and an ancient proof that women did hold high ranking positions in the Moche society. A replica of the Lady of Cao was created by the Peru’s Ministry of Culture after much effort. The replica was built with the help of 3D imaging technology and forensic archaeology. It took almost 10 months to create the replica of Lady of Cao. Want to visit Huaca El Brujo? If you would like to visit Huaca El Brujo or Trujillo to discover the pyramids and tombs where the Lady of Chao was discovered, contact us today. You can create a custom tour that includes a visit to the Huaca El Brujo, so that you can immerse yourself in the ancient Moche culture.